Did you know Spring migration is here and that means billions of birds will migrate across the hemisphere, just this year? Education Director for the Houston Audubon, Mary Anne Weber shares how you can catch a glimpse of these unique birds in person! "Owls have twice as many neck bones as we have, 14 vertebrates, and they can spin their head 270 in both directions," said Weber. She added many other interesting facts about owls and Mississippi Kites. 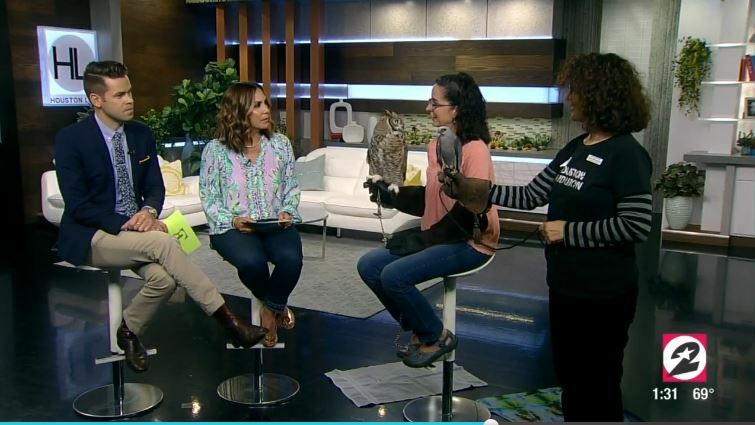 In case you missed Mary Anne and Dawn on Houston Life today, here's the link to the 6-minute video.